Abstract: The aim of this paper is twofold. On the one hand, it offers a systematic analysis of the data available regarding Spanish scientists’ dissemination activities; on the other, it seeks to shed light on their behaviour and motiva­tions. To do this, we consider the context of Spanish society and the conditions affecting the work and professional promotion of scientists. We present evi­dence from two surveys of CSIC researchers and of participants in Spain’s main science fair, with the caveat that the data were obtained in a method­ologically favourable scenario. 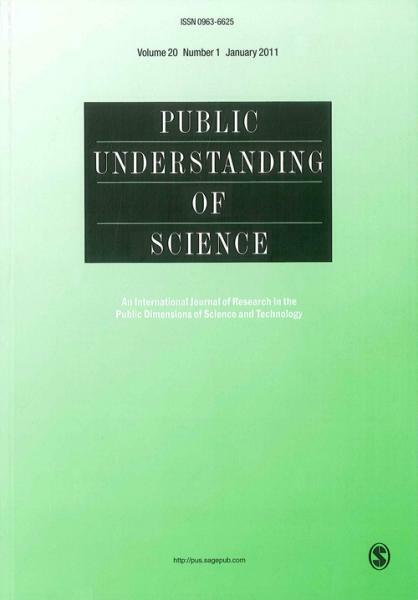 A contrast exists between scientists’ vocation to disseminate and the limitations derived from a low degree of interest in sci­ence in Spanish society, together with professional promotion policies that do not give priority to dissemination activities. This leads us to conclude that Spanish scientists are trapped between dissemination activities governed by moral values and a scarcely favourable social and professional context.